We have all been there when playing poker. You bet your overpair the entire way and a bad poker player shows up with some bizarre two pair that he hit on the river. Or you flop your trips and there is simply no amount of money on earth that you can bet to get them to fold their flush draw (trust me I have tried). Of course the river comes with the flush card and he bets into you. This is the third time in a row this has happened. You already know you are beat before you even toss the chips in the middle. And as sure as the sun will come up tomorrow, he turns over the flush and scoops the pot. How do you deal with stuff like this at the poker tables without losing your mind? This is one of the main challenges that you will face coming up in small stakes cash games whether live or on the internet. There are lots of complete beginners, lunatics and fish at these stakes. Even some of the regulars have very little clue what they are doing and will call you down with all sorts of ridiculous holdings (and nail it on the river of course!). Well I gotta be honest with you, I don't have all the answers. But I have a lot of experience dealing with players like this. In this article I am going to provide you with 9 ways to keep your cool against the bad poker players. Since many people have big problems with tilt at these stakes learning how to maintain your sanity when things go horribly wrong can really make a big difference to your long term winrate and ultimately your profit. Honestly, this has always been my main go to when the bad players hit something ridiculous against me. There is a point where you just have to see the comedy in it. Poker simply isn't a game where you can win every hand. Being able to just laugh it off (much like in many other situations in life) will go a long way towards keeping you relaxed. And ultimately boosting your winrate and profits. Always remember this, at the lower stakes online we are often playing for amounts that are equivalent to the price of a cup of coffee or a movie ticket. How much does it really matter? Is there really any point in losing your mind because some donk got lucky against you and won a $10 pot? You know he called with incorrect odds the whole way. You also know that he will lose in the long run if you run this same situation 10 times or 100 times. Just laugh it off. Next hand. Building off of that, it is important to understand the odds in poker. When you are betting pot or 3/4 pot they simply do not have the correct odds to be calling with their flush draw or bottom pair. This is why I have always been such a big advocate of betting big against bad players at the micros. Yes it is going to lose you a big pot on occasion but it will win you a big pot on so many other occasions. If they are calling wrong, without the right odds, this will catch up to them in the end. Winning poker is a process. If you keep the math on your side, you will win in the long run. Make sure you understand the basics of hand odds, pot odds and implied odds and then you can always bet an amount that keeps you on the right side of the math. One of the biggest things that I had to learn early on in my poker career was not to make it personal. Don't get focused on Donk X that just bad beat you twice in a row. It is better to think of all the donks as one big universe of donkdom instead. Collectively they are all geniuses at chasing their draws without the right odds and getting their money in bad. Always remember that your battle is with the entire universe of donkdom, not some individual donk that has been getting lucky against you lately. Think about how a place like Las Vegas works. Something crazy like 40 million tourists go visit there every single year. Many of them win. Some of them even win big! But more of them go home losers. This is because the casinos know that the math is ultimately on their side. So do you think they cry about Donk X who got lucky all night on the roulette wheel and took them for a small fortune? As long as people keep voluntarily putting their money on the line in a -EV game like roulette (millions every year), they will always win in the end. Don't make it personal. Don't focus on the specific bad player who has been getting lucky against you. When somebody makes a terrible play and gets lucky against you, it is very likely that they do this all the time. Just imagine how terrible their results are. Back in the days of good old pokertableratings.com after somebody gave me a terrible beat I would often search them right away. Once I saw their catastrophe of a graph this would help me a lot with point #1 above, just laughing it off. Trust me, these bad players are getting absolutely owned in the long run. Their graph goes straight down at a 45 degree angle in the wrong direction. They are deposit machines. They bankroll the entire industry. 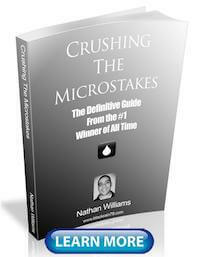 You have a small amount of people winning big and removing large amounts of money on a regular basis. Then you have a huge amount of people who are situated somewhere around breakeven. They don't take much out but they don't put much in either. So after the online poker room or casino takes it's cut where does the profit for the good players come from then? Yup, you guessed it. It comes from that fish who just called you the whole way with his 74 offsuit and hit two pair on the river. He is the reason why this game is profitable. That is why I preach about table selection to no end on this blog and elsewhere. 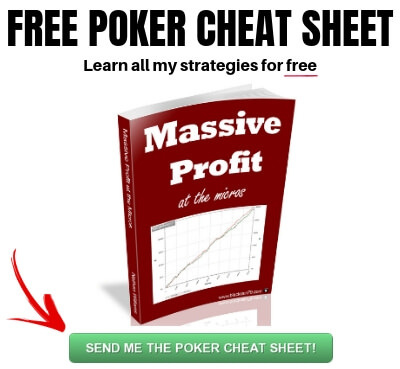 When you know where the money is actually coming from in poker, it becomes a really easy game. You should also learn to view the bad poker players as your customers. Despite how frustrating they can be to play against sometimes in the short term, they will ultimately be your biggest profit source in the long run. You should know that both of these results are absolutely terrible for you. If you happen to be one of those people who berate the fish when they suckout on you I hope you remember this next time. I know you are emotional in the moment. It's frustrating to lose a big pot to some goofball who doesn't even know what he is doing. But these guys are the lifeblood of the entire industry. It is better to learn to respect them as your customers. When they lay some ridiculous beat on you give them a simple "nh" (with no sarcasm) or just say nothing at all. They are just there having fun. They will get lucky from time to time. That's why they keep coming back again and again to give away more of their money. Sometimes the recreational players honestly just don't even know what they are doing. How can you even be mad when this is the case? You see this the most in low limit tournaments online because they attract more totally clueless fish than any other format. Sometimes you are actually playing against play money players who won a freeroll to get their seat. I remember a hand awhile ago early on in a $2 dollar tournament online. I hit top set on the flop with my pocket 9's but the board was monotone (all hearts I believe). I knew that my opponent was really bad and would call with any flush draw so I just shoved my entire stack in the middle knowing that I would be a big favorite. Before calling he got in the chat box and told everybody his hand, naked ace of hearts. He wanted to be sure that if another heart came that he would indeed make a flush. That's right, doesn't even know the rules of the game! Proceeds to call off his entire stack with about 27% equity. Nails it on the river of course. Seriously, how can I even be mad? "That's poker." The art of table talk is sadly a bit lost these days due to the solitary nature of online poker. But there is a lot to be learned from the old school pros in this regard. I know it is rare but there will be occasions when you actually get lucky against the fish yourself. And you should expect to get solidly berated about it. I know because I have been called pretty much every name in the book over the years at the poker tables! Legendary live poker pro Barry Greenstein once told a story (in his famous book "Ace on the River" by the way) about getting lucky against a recreational player in a particular hand. The fish subsequently let loose about how terrible Barry was at poker for what seemed like forever. "If you think that play was bad, stick around for awhile, I am sure I will make much worse ones than that!" On the odd occasion when you actually get lucky against a bad poker player expect them to lose their cool and perhaps berate you. Don't ever engage with them on any level. Just let them have their say. The best policy is just to say nothing at all back to them. But if you do make it short and simple like this and hopefully tilt them even more. A term that I often steal from renowned poker mental game coach Jared Tendler is to "inject the logic." I actually interviewed him here on my blog last year by the way. Well I see it as doing your best to use the rational part of your brain during a stressful situation (such as a bad beat), rather then using the emotional part. As I said above, know the odds. There are a million little free equity programs out there. If you use Pokertracker 4 then there is one built right into the software. Just plug in the hole cards and the board if you don't know the exact odds in a particular situation. And then you can see the exact equity in the pot that each player has for yourself. If your opponent got the money in bad against you (had the worse odds), then you actually win in this situation. This is because in the long run this guy is just handing you his money. Be grateful for that. The thing with poker though is that the hand with the best odds doesn't always win. It is very rare that somebody is actually drawing stone dead (0% equity in the pot). So sometimes the guy who plays badly and gets all his money in the middle with 27% equity gets to win the pot. But logically you know that you cannot fight the math like this and expect to win in the long run. However, if we didn't throw the bad players a bone every once in awhile they wouldn't keep coming back again and again, depositing their money and bankrolling the entire industry. As frustrating as bad beats can be, try and view them in a rational and logical way instead of with anger. If you got the money in good, you won. Let the cards fall however they will. Now I wanted to save this one for last. Despite everything that I have said above, sometimes the best thing that you can do when the bad poker players are getting lucky is to simply walk away. It just isn't worth tilting off a few stacks to them because this is the stuff that absolutely destroys your winrate and profits in the long run. There will be days at the poker tables where you simply will not be able to win no matter what you do. If you feel angered, frustrated, have a feeling of hopelessness, find yourself making bad calls or wild bluffs, you should step away from the game. And preferably for the rest of the day. Remember, the games aren't going anywhere. They will be there again tomorrow. Also, don't even bother reviewing the session right now. It will just piss you off even more. Just go do something completely different (and totally unrelated to poker) and come back the next day with a clear head. 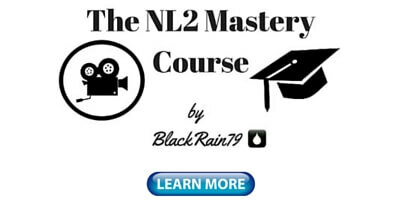 Review the session before you play again and you will be able to see without being emotional, what actually happened. If you lost a bunch of pots when you got the money in good, don't worry about. Inject the logic, you won. If you got the money in bad though in some spots, or perhaps some of those "coolers" weren't really coolers (you could have found a tough fold), then consider some ways in which you can play these hands better next time. You could also get a second opinion by posting them on a poker forum or asking some of your poker playing buddies. Bottom line, some days at the poker tables you just won't be able to win. It is better to accept this and learn to quit before you start tilting badly and do some real damage. Keeping your sanity against the bad poker players can be difficult under the best of circumstances. But you gotta remember that they are the reason why you are able to profit in this game. And yes, they do lose huge in the long run. Sometimes in the heat of the moment though anything can happen. This is the big illusion that makes this game so great and enticing to the bad players. The very best poker players are able to see right through it. I hope this article gave you a few ideas to help you keep your cool next time the recreational players start handing you some crazy bad beats. 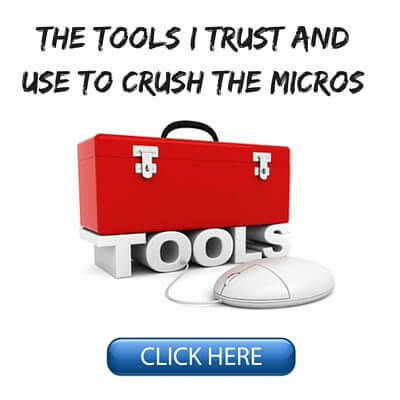 If you want to know what strategies I personally use to crush these types of players make sure you pick up a copy of my free ebook "Massive Profit at the Micros." 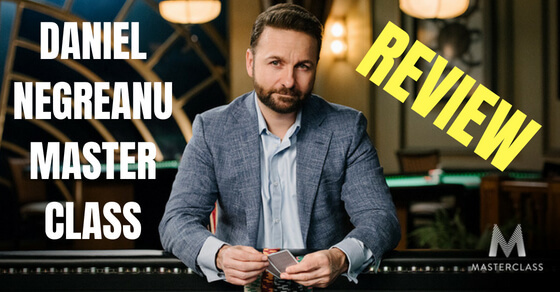 Lastly, make sure to let me know in the comments below what strategies you use to keep your cool against the bad poker players. Maybe its sometimes a good idea to pot control and then bet the hell out of the turn if their flush card doesnt hit, giving them even worse odds...but then I guess you are not maximising your profit if their flush doesnt hit! 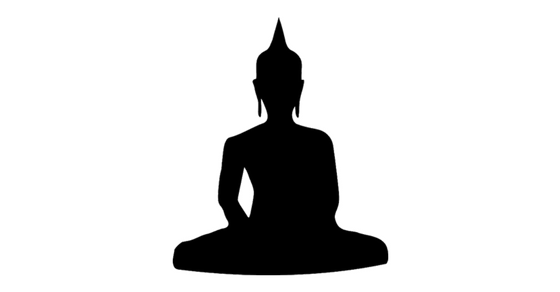 As you say the best strategy is to find a way to stay calm about it....meditation anyone? I think meditation can help a lot. I know some poker players who swear by it. This email saved my sanity and reminded me everything I already knew! Cheers Nate I've now got a note above my lappie reminding me what my logical brain already knows but my emotional brain sometimes forgets when those river rat mofos hit there bloody rivers. Good article and what I REALLY needed today! Thanks Matthew, glad it helped! How is this for crazy, I lost two out of three hands by when I flopped a full house and he flopped four of a kind. We both slow played, I lost one buy in after the to hands, I felt lucky. Lol....Relax....I thought the object is to make money. What about the guy who had quads 2x and didn't get full value against a full house. Good luck, I hope you do well. Recently I've been called quite a few names at the tables and sometimes it gets pretty hard not to tell them how bad they are. Then, as you say, I remember that they will eventually give me their money and I get calm again. Nice article Nathan, best of lucks to you! Thanks Jorge! I typically just turn the chat off when playing online or try and wear headphones if playing live. Not even worth listening to it in my opinion. Good luck mate! Great article! Thanks Madalin, same to you! Once Again, great article as Always. 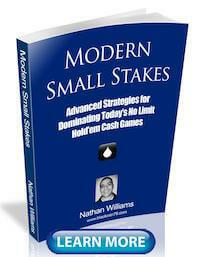 I have switched from tournaments to Cash games recently, and decided to read your book. ITs GREAT!! I still have some problems trying to bluff the fish. Do you Think that pokerstars still is a great site if you are a Cash game player, or too many regs and too tough to climb the stakes these dsys From 2nl to 25nl example. Thanks glad you enjoyed it! Glad my book helped also. I would say that at the micros (especially NL2-NL25) you shouldn't be trying to bluff the fish too much. This is because at these stakes the money is small and fish love to call with anything anyways. I think Pokerstars is the best poker site, and has been forever, in every category EXCEPT easy games. 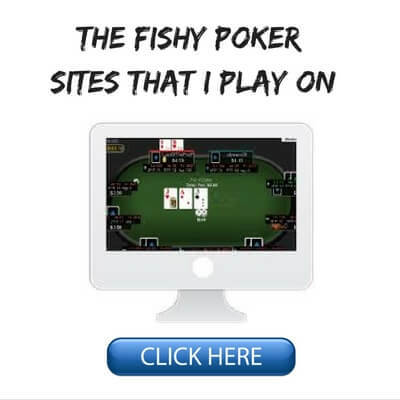 While there are still plenty of fish to be found at the lower stakes due to the sheer amount of traffic and tables available alone, on average at Pokerstars you will be facing a higher calibre opponent than at many other fishier sites. 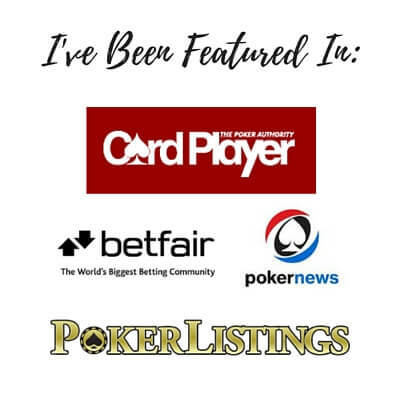 This is why a little while ago I put together a list of my top 5 softest online poker sites. You can find that right here.